Mediation and Out of Court Settlement Divorce mediation and out of court settlement, explained. You Look Nice, But Are You Guys Tough Enough to Handle My Divorce & Custody Case? Are you tough enough to handle my family law case? Divorce and Annulments Attorney Van Smith discusses how an annulment differs from a divorce. Call Smith Strong at 804.325.1245 (Richmond) or 757.941.4298 (Williamsburg). Divorce Mediation and Settling Out of Court Attorney Van Smith discusses strategies used to settle cases out of court, with a focus on mediation. 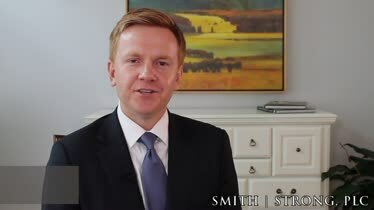 Call Smith Strong at 804.325.1245 (Richmond) or 757.941.4298 (Williamsburg). 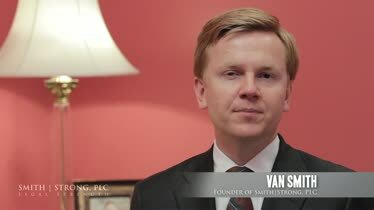 Divorce Settlement and Credit Card Debt Attorney Van Smith discusses how to handle credit card debt in your divorce proceeding. Call 804-325-1245 or 757-941-4298 for assistance. 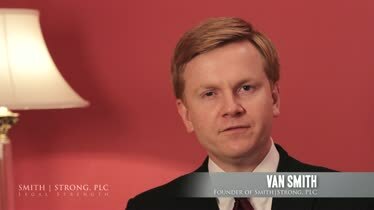 Dividing Retirement Accounts Van Smith discusses how general guidelines for how retirement accounts are divided, both in an out of court. 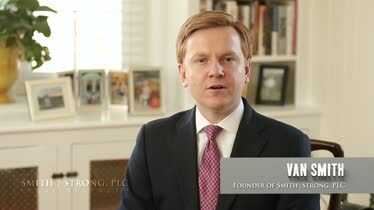 Call 804-325-1245 or 757-941-4298 to reach Smith Strong. 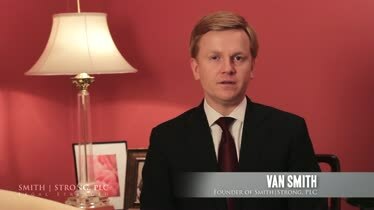 Divorce Settlement and Joint Accounts Attorney Van Smith discusses how to handle paying bills from a joint account prior to a divorce becoming final. Shared Custody Scenarios Attorney Van Smith explains several of the most common custody arrangements, and notes it is important to carefully consider each one. Should I Stay or Go? 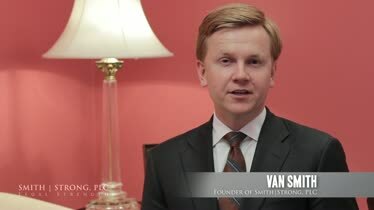 Attorney Van Smith speaks to whether a divorcing spouse should remain in the marital residence or leave when a divorce is imminent. 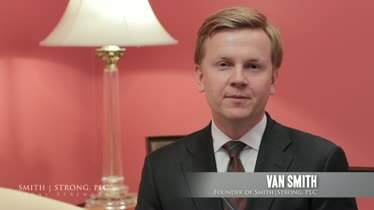 Divorce, Custody, and Text Messaging Attorney Van Smith discusses how text messages can influence courts in a divorce and custody trial. ?How do I keep my divorce out of court, but still get a fair result? ?Is it possible to keep my divorce out of the courtroom? Posted on 05/08/2014 What is Collaborative Divorce? Not every divorce is like the long, emotional sagas you see play out on TV; many times, it’s just two rational adults who simply recognize that they should not be together anymore. These relatively amicable divorces are perfect candidates for mediation services. You’ve worked through most of the details together with your spouse, and you just need someone to guide you through a few of the complicated parts like the house, retirement savings, and child support. You don’t want things to get really expensive and you’d rather just work through an agreement to keep things out of court. You and your partner never had children and you’re both on the same page as to how you want things to play out. Many people dealing with divorce have never set foot inside a courtroom, and they most certainly don’t want to start now. As experienced Virginia divorce mediation attorneys, it’s our job to make your feel comfortable and help you wrap your divorce up as painlessly as possible, without the drama. Divorce mediation is a cost-effective, generally low-stress way for couples to hash out the details of their divorce. 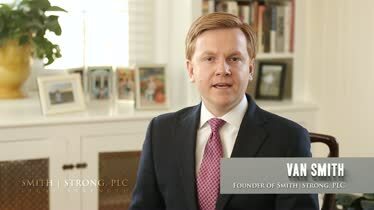 When you have Smith Strong mediate your divorce, you help ensure your case stays out of the court system—and we help educate and guide you to an agreement, ensuring the process and documents are developed and filed right the first time. We are trained in negotiation techniques, including collaborative law, and use this experience to make sure you reach an amicable conclusion to your marriage. Mediation or Collaborative Law is informal, and can be as easy as you allow it to be. It lets you and your spouse decide your fate instead of passing it on for a judge to decide. One Lawyer: You hire an attorney, meet with him or her, organize your assets and best-case options, invite your spouse to your attorney’s conference room where an agreement is reached and signed (typically completed in two meetings, one to review the agreement, and the second to sign the agreement after the non-represented party has time to “think” about it). Two Lawyers: You and your spouse hire your own attorneys, work through discovery and information gathering, meet several times in person and on the phone, and finally craft an agreement that is mutually acceptable. Two Lawyers + a Mediator: Both parties are represented, but are struggling over a few important issues, so a mediator (typically a retired Judge or retired family law attorney) is hired to work through these issues to keep settlement on track and out of court. Two Lawyers + Collaborative Law Rules: Both parties retain counsel and sign agreements to adhere to a completely open disclosure policy. In team models, therapists and financial advisors can also be involved, if needed. There are typically 4-8 meetings with the parties and counsel, depending on the number of issues to resolve. If settlement is not reached, however, both parties will have to retain new attorneys, pursuant to the collaborative law rules, incurring the additional expense of bringing their attorneys “up to speed” to go to court. 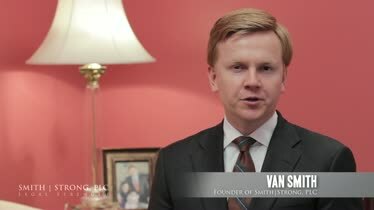 [Lead attorney Van Smith is a strong believer in the collaborative law model of practice in certain cases. 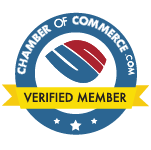 To practice collaborative law, an attorney must not only be licensed to practice law, but also must have completed the 3-day collaborative law certification course. Two Lawyers + Retired Judge in a Judicial Settlement Conference: Both parties have retained counsel and can petition the Supreme Court of Virginia to schedule a judicial settlement conference, conducted by a retired circuit court judge. The benefit to a judicial conference is the cost of using the retired judge is borne by the state. The downsides of hiring a “mediator” (see above) are that you do not get to “select” the judge (as you do a mediator), the bureaucratic process of requesting a conference is higher than hiring a mediator, and the timeline for getting into the judicial conference can be longer than the expedited process of hiring your own mediator, among other considerations. Your particular case will warrant individual analysis to determine which course of settlement is right for you. Typically, an experienced family law attorney can assist you in selecting the best option for your case during the SMARTSTART© comprehensive case preparation meeting. Of course, all of these options assume we have two parties that are willing to negotiate, in a reasonable manner. Certain personality quirks of your spouse or the attorney your spouse chooses may also influence which option is best for your case. Again, experience, in this case “knowing the players” routinely selected in family law cases, matters. 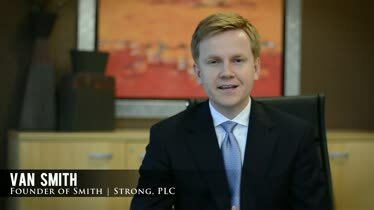 At Smith Strong, we take pride in not just our legal knowledge, but also our emotional intelligence. We understand how confusing and upsetting divorce can be, and our top priority is to make you feel comfortable sharing these personal details of your life. Our attorneys strive to empower you by answering any questions you may have and educating you about all aspects of divorce in the state of Virginia. If you and your spouse are hoping for an uncontested divorce, a mediated or collaborative divorce may be a great option for you. Call the Richmond and Williamsburg offices of Smith Strong at 804-325-1245 today to schedule a SMARTSTART Comprehensive Case Preparation Meeting. 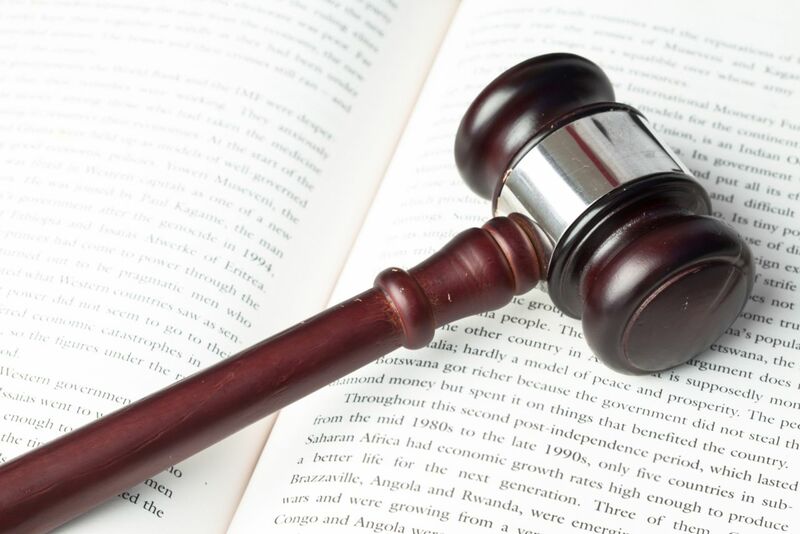 What is the Role of a Judicial Settlement Conference in the Divorce Process?